Everyone in business knows they need to network but what does that actually look like? How often should you network? When and where? And what if you aren’t exactly the most outgoing person ever? Whether you like it not, you have to network. It’s a common misconception that simply attending a networking event will bring you new business right away. It won’t. The thing is, it doesn’t have to be just exchanging business cards and making pointless small talk. Besides expanding your professional network, sometimes networking can actually be fun as well. Networking is not easy. If it were easy, everyone would do it, and do it well. But they don’t. That’s because it’s a skill, like cooking, golf, or carpentry – they take knowledge, practice, commitment, and effort to learn and apply consistently. However, if you do get out and network consistently, there are great benefits to networking but you have to remember that we are dealing with people. Going out with a “what can I get?” attitude is going to sink your efforts before you even begin. 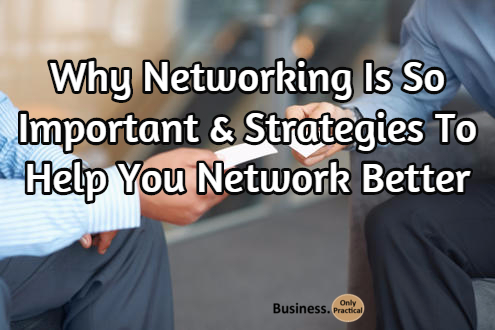 The return on investment can be high if you use networking strategies to really help you succeed. Networking takes time. It is not an instant gratification thing very often. OK, so we have all experienced that chance meeting where everything clicks and we come away with a brilliant, but random contact. That’s not the norm. We are talking about human relationships, and they are not always fast burning things. Networking is a Two-Way Street. Here’s one of the most important things to remember when it comes to networking; it’s a two-way street. This means that whenever you meet someone, you need to ask them as much as possible regarding their business, as well as informing them about yours. Always begin the conversion with the basics – your name, your company, affiliation, position, etc. Following the introductions and exchanging of basic information, you could ask the following questions: What products or services does your company offer? Or who are your clients? Networking adds to what you already do. People are always asking if they should devote time to networking over, say, SEO, blogging, or social media. I have to tell you, being so close to things (this is a blog after all) it took me a while to articulate. It’s like explaining why we need to breathe, drink and eat – my network is like food, but the other tactics are like water and oxygen to my business. It’s not either-or, it’s and. Networking creates opportunity. Don’t rely exclusively on impersonal methods of finding jobs, such as through websites – many jobs are found through personal contacts. If you are not getting enough opportunities, then you need to build your network. All the best opportunities are shared person to person in back channels. Everything from prime domain sales to employment opportunities. If two people are equally qualified then it goes to who you know, like, and trust. Focus on how you can help. Nothing else I’m going to share works if you don’t do this first. Always be focused on the other person. How can you add value? How can you solve the problem the other person has? Most people don’t do this – and that’s what makes networking awkward. Your conversations will be more natural, the impression you leave will be stronger, and the result you get will be better if you approach it this way. Join a networking group. 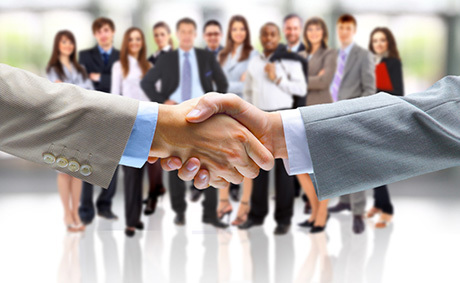 There are many types from the casual mixer-type group to the more serious referral groups such as BNI. No matter what type suits you, all will let you make new contacts and promote and raise awareness of your business. Access support and advice from other business professionals around you. Be inspired by other businesses which will increase your motivation to network in the group. Use the group as a sounding board for new business plans and ideas. Use your lunch hour.Here’s a challenge for you – once a month, invite someone to lunch that you’d like to get to know better. This could be a former boss, colleague, someone in a different department, or even a friend of a friend. Remember strategy 1 when you do this – and pick up the tab. Spend Time Social Networking. This doesn’t mean that you have to let social networking consume your life. What it means is that you should use social media to your advantage. For example, if there is an upcoming conference, you could use everything from LinkedIn to a company website to learn information prior to meeting people who interest you. You could then follow up with that person via Twitter or LinkedIn. Another benefit of social networking is by sharing or creating relevant articles that your audience would find informative. Also, make sure to join in social media discussions. Not only does this make you a member of a community, it also can also help establish you as an authority figure in your field. Keep your connections fresh. The worst time to try to reconnect with someone you’ve lost track of is when you’re unemployed. Instead, make it a point to email or call your key contacts regularly. Being genuinely interested in someone else when you don’t need anything makes it is much easier to have a conversation when you do need help. Meet-and-Mingle. Get yourself out there. Take up something like golf or a cooking class to meet new people who have similar interests as you. You could also consider finding out where like-minded people like you are spending their time. As you’re probably aware, every city has the bars, coffee shops or restaurants that cater to different groups. 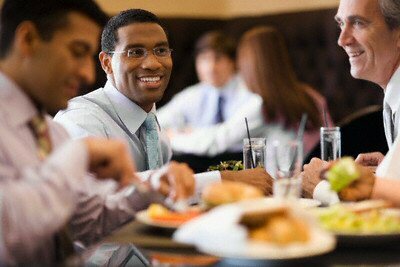 Remember, people are more relaxed in social settings, so it’s one of the best chances to strike up a conversation. Another great way to network is by volunteering or attending a fundraiser. Both are great ways to meet with members of the neighborhood, discuss yourself or company and show that you’re behind a cause. Don’t focus on yourself. The primary objective is to figure out how you can help someone else. Don’t have a hidden agenda.You’re just there to make a personal connection and learn about your contact. Don’t be scripted or inflexible.Try to keep the conversation as natural as possible. The fact is networking works when done right and if we’re being honest, we’d probably all like to have a better professional network than we have right now. I owe a great deal to my friends, contacts, and extended network. If you get anything out of this article I want you to understand that every single new friend or contact you make is worth their weight in gold.